MAHWAH, NJ – Building on the success of its entry-level Element and game-changing Octane Elite energy dispersive spectroscopy (EDS) systems, EDAX Inc., a leader in electron and X-ray microanalysis instrumentation, announces the addition of a new Octane Elect EDS System to its existing portfolio of EDS analysis tools. The new system becomes available end of January 2017. 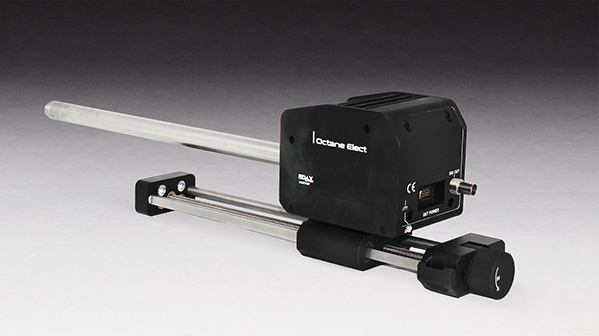 Tailored for users who need higher performance and more options than those available in the Element System, the Octane Elect System offers both increased functionality and higher resolution than the Element. The new system can be paired with electron backscatter diffraction (EBSD) analysis as part of the integrated Pegasus EDS-EBSD Analysis System and includes an EDS detector with a manual slide. The Octane Elite System remains the ‘platinum standard’ for analysts, who face characterization challenges that demand the full range of analysis options developed in this extended product line. The entire range of EDAX EDS systems includes high- resolution Silicon Drift Detectors (SDD) that offer superior improvement in light element sensitivity and outstanding low-energy performance due to the use of silicon nitride (Si3N4) windows. EDAX is the acknowledged leader in Energy Dispersive Microanalysis, Electron Backscatter Diffraction and micro X-ray Fluorescence instrumentation. EDAX designs, manufactures, installs and services high-quality products and systems for leading companies in the semiconductor, metals, geological, pharmaceutical, biomaterials, and ceramics markets.